Two Disney sisters exploring the ups and downs of Disney World! Caroline: The main writer of this blog, graduated with a BA degree in history and secondary education from the University of Colorado at Boulder in May 2015. She is currently working as a 7th grade Social Studies teacher. Her love for all things Disney, and desire to grow up to be a Disney princess, is the reason why she did the DCP program. Her role for all three DCP programs was Merchandise at Discovery Island in Disney’s Animal Kingdom. Caroline is a Disney Cast Member again! Update: Caroline returned to WDW for the Summer DCP Alumni program! Her new role was back at DAK in a merchandise role again (carts & strollers). And, she’s written a new book about working at Disney World again! A new Disney chapter begins for Caroline…back at Traditions again. Elly: The main photographer and a contributor to this blog, has completed her masters degree at Colorado State University in Public Communications. She is currently working as a Digital Media Manager for national, billion dollar real estate company. Her motivation for doing the DCP program was the promise of unlimited pin trading! She worked for a year as a Relief Coordinator at Downtown Disney, now Disney Springs. And, we’ve written a book about our time at Disney World working in the DCP Program! 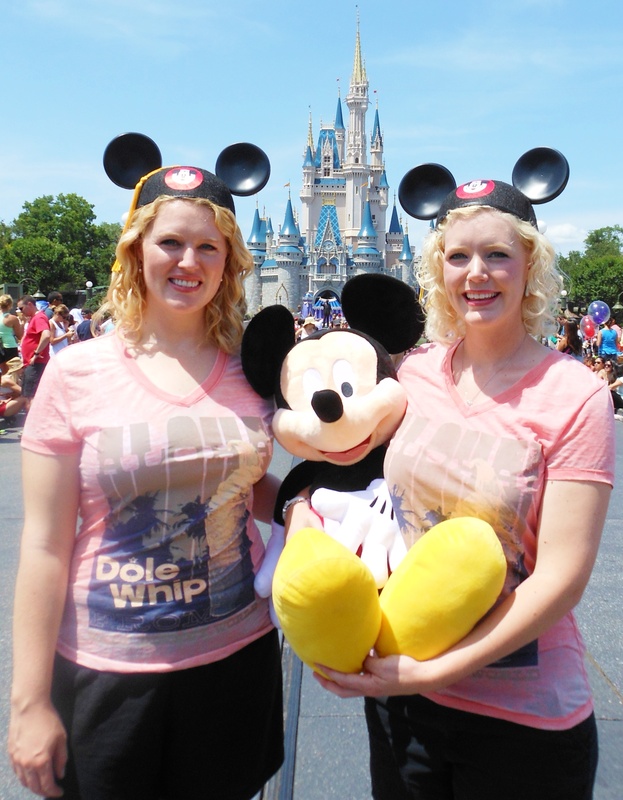 Copyright Two Girls and a Mouse Tale: Our Year Working at Disney World. This blog, Collinsrace1, is in no way part of, endorsed or authorized by, or affiliated with the Walt Disney Company or Disney Parks and Resorts or its affiliates. All information and opinions, including but not limited to photographs, contained within is the property of Collinsrace1 unless otherwise noted, and may not be used or reproduced without permission. 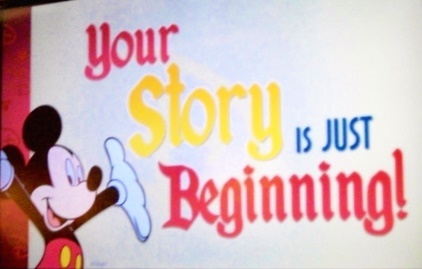 Interested in learning more about Disney’s College Program internship? Also, visit Disney’s official website: http://disney.com/, the official home for all things Disney. Our first day working for Disney! So exciting to be cast members! We stumbled on your website and like what we see so now we’re following you. Looking forward to seeing more. This was definitely informative. Your website is extremely helpful. Thanks to so much for your web site, it helps me a lot. I’ve joined your feed and look forward to seeking more of your fantastic posts. I’m really grateful to the holder of this webpage who has shared this great post! Wow, this is great website! Congrats and keep it up. Amazing writing….such an invaluable website. Thanks, really valuable webpage. I will share your website with my friends. I blog often and I genuinely thank you for your information. This blog has peaked my interest. I’m going to bookmark your blog and check for new information weekly. Thanks a ton! This is definitely an awesome web site. Wow, incredible blog layout! How long have you been blogging for? You made blogging look easy. The overall look of your website is excellent! Spot on with this write-up, I really believe this site needs a great deal more attention. I’ll be back again to see more, thanks for the info! I thought this post wаs good. I will personally recommend it to my friends. Hello there and thank you for the information – I have definitely picked up something new from here. Wondering if you might be able to help. My daughter has done 2 CP at WDW and is now graduating in May and has recently applied for Fall Advantage. She applied when the app came up but the site kept crashing and now her app is just sitting in “received” for days on end. She’s really frustrated and upset and trying to figure out any way to contact to make sure they see it as she knows it usually doesn’t take this long for a response. Any insight as to what’s happening or how to contact someone? Seems like very little contact for DCP kids. Yes, I’m going to recommend she do something that DCP hates when applicants do…. she should consider reapplying using a different email address. And reapply using a PC computer to submit her app. Not her phone (especially an iPhone), not an iPad, and not a Mac computer. DCP uses several different servers and it sounds like it got hung up on an old server. It still might process, but as the days go by, it becomes more unlikely. She should have gotten her WBI within an hour of applying. It is possible that based on her being a former cast member, somehow she gets to skip that step. If she applies to the Summer Alumni program in early Feb, that will be true. Thank you so much for your help!! She will try that. She didn’t appy for the Summer Alum because she wants to stay longer so she applied for the alumn Fall Advantage. She’s hoping to have that parlay into a PI, and then ultimately a full time job. That’s why this is so heartbreaking for her. My sister did the summer alumni program and loved it. She got assigned to her old merchandise role at DAK and got to work with her friends again. The summer alumni program app opens in 2 weeks. Yes, you can then extend into Fall. Only difference is that the summer program has limited roles available. We’ll post a new blog when the app opens. I am regular visitor, how are you? This post is actually nice. I am sending it to a few pals too. This is really informative. Your site is useful. I think this website has some very good information for everyone. Your website has superb content. I bookmarked the website. I subscribed to your blog and shared this on my Facebook page. WOW, just what I was searching for. Thanks. Wow, just what I was searching for. Thanks! Wonderful, what a great website! This blog provides valuable information, keep it up. Hurrah! I can genuinely find valuable information on your web site. I absolutely enjoyed every bit of it. I’ve got you bookmarked. I want to say that you have a very decent website and I love the style. It really stands out. You just won a new reader.